08/09 - NCAA1 USA - Ohio - 32 games: 17.7 ppg, 8 rpg, 33% 3 point. 09/10 - Pro A France - Chalon - Eurochallenge, 12 games: 12.8 ppg, 5.2 rpg, 1.3 apg, 44% 3 point; French League, 30 games: 13.3 ppg, 5.2 rpg, 33% 3 point. 10/11 - Bundesliga 1 Germany - Mitteldeutscher BC Weissenfels - 10 games: 13.8 ppg, 5 rpg. 10/11 - LEB Oro España - Ford Burgos - 32 games: 12.7 ppg, 6 rpg, 59% 2fgp, 47% 3 point, 65% f.t. 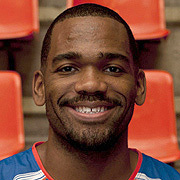 11/12 - LEB Oro España - Ford Burgos - 39 games: 11.5 ppg, 5.6 rpg, 52% 2fgp, 33% 3 point, 73% f.t. 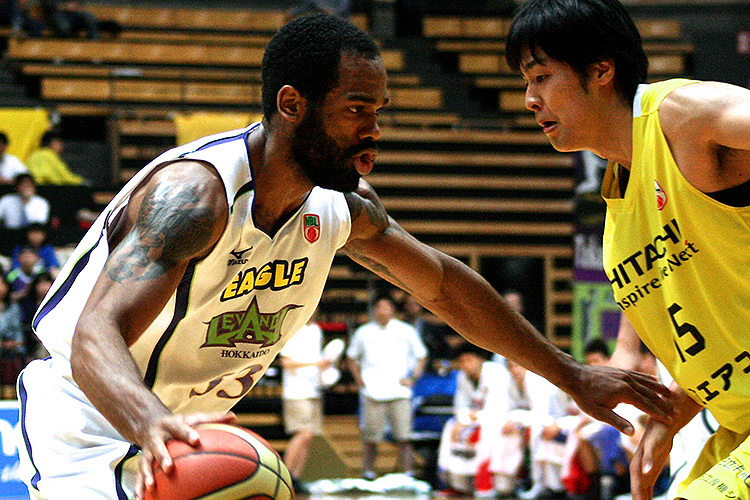 13/14 - NBL Japan - Hokkaido - 54 games: 19.6 ppg, 8.8 rpg, 1.5 apg, 50% 2 fgp, 40% 3 point, 77% f.t. 14/15 - NBL Japan - Hokkaido - 53 games: 23 ppg, 10 rpg, 2 apg, 31% 3 point, 73% f.t. 15/16 - NBL Japan - Hokkaido - 57 games: 23.6 ppg, 9.8 rpg, 1.2 apg, 57% 2 fgp, 35% 3 point, 74% f.t.